On Tuesday afternoon at 1:07, an injury accident occurred at Ohio and Crawford. 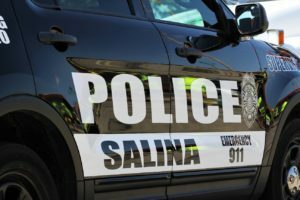 Sergeant James Feldman told The Salina Post that 1990 Ford Ranger driven by Kypra Ziegelmeier, 30, of Salina was headed eastbound on Crawford St. While attempting to turn northbound on Ohio, hit a 2012 Chevy Malibu driven by Alexander Serocki, 25, of Salina. Ziegelmeier and an 8-year-old passenger were transported to the hospital for unknown injuries. Kypra Ziegelmeier received a citation for failure to yield while making a left turn. Both vehicles sustained damaged and were towed at the scene.